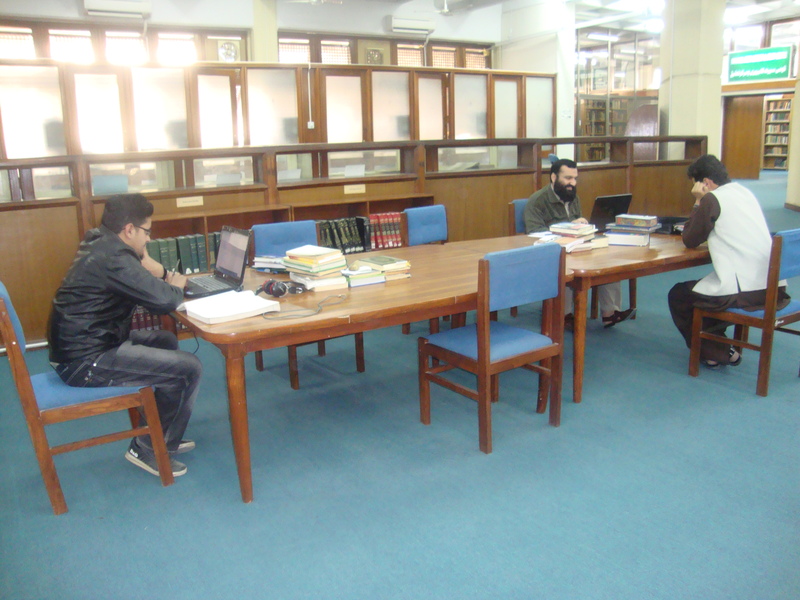 The Dr Muhammad Hamidullah Libray of the Islamic Research Institute was established in 1959, with the ambition to develop a comprehensive collection on Islam and the Muslims in the major languages of the World. The library was started at Karachi with a donated collection of 2500 books from Maulana Abdul Aziz Maymani, a celebrated Arabist of the sub-continent. Since then the Institute has been making assiduous efforts to collect reading material on each field of Islamic Studies. The library, which was named after the renowned scholar Dr. Muhammad Hamidullah in 1986, is unique in many respects. It possesses original source material in Arabic, Persian and Urdu, besides a large number of important works by Muslim and non-Muslim scholars in English, French, German, Italian, Greek, Spanish, Russian and other major languages. In terms of selection of books and its stock of essential and rare works it is the best library on Islamics in Pakistan.